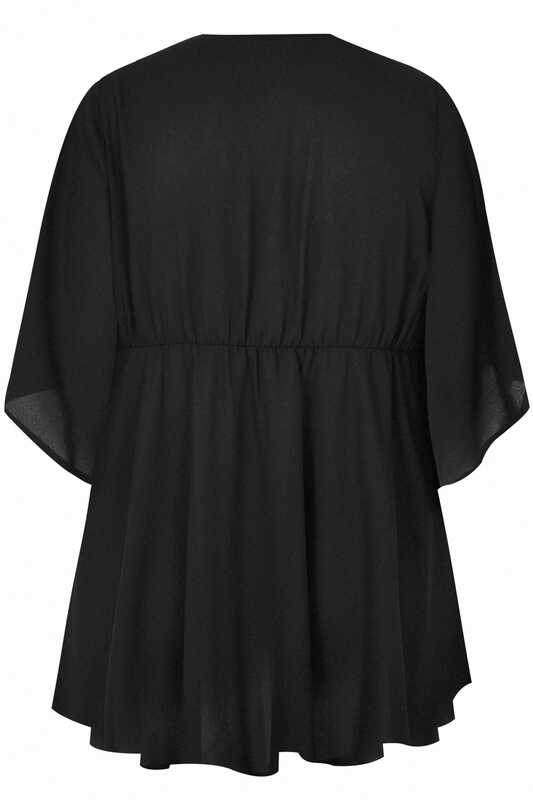 Elevate your day-to-evening wardrobe with this chic blouse from Yours London. Made from a textured moss crepe fabric, it flatters in a wrap over style with floaty kimono sleeves and features a tie waist for a more cinched in silhouette. For a sophisticated office look, style with a pair of tapered trousers and high court shoes or play it down with denim for after-dark appeal. A simple style updated with fashion forward kimono sleeves.